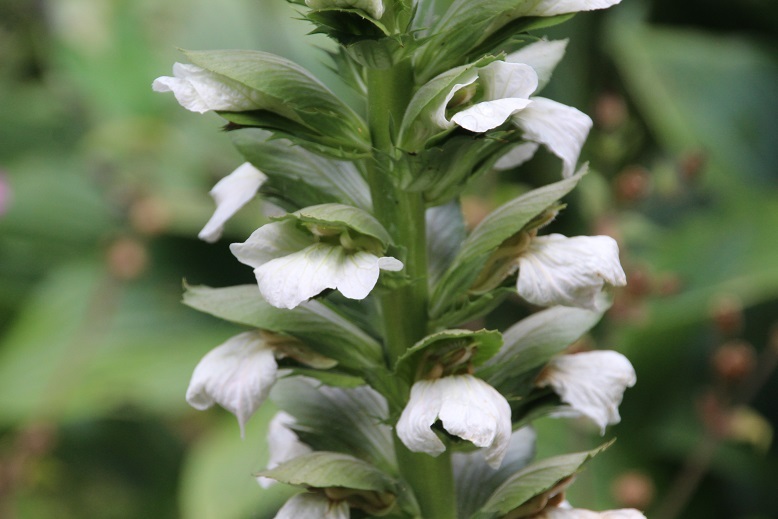 For a year or so now my eye has been taken by Acanthus. When they are good they stand out and add a surprisingly lush quality to a planting. I think I was most impressed by a planting on top of a wall in Penzance. I'm not going to try growing it on top of a wall but I am going to remember it. 'Rue Ledan' comes from a garden in Northern France. 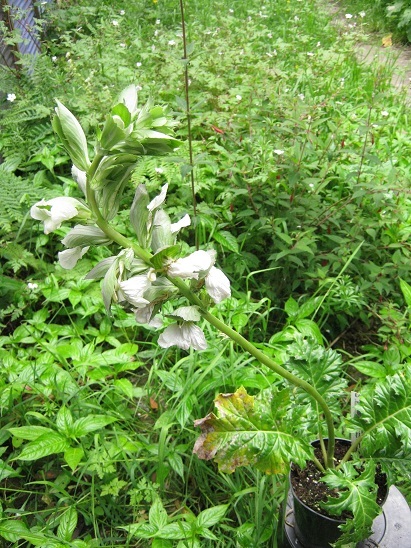 It has a pure white flower that emerges from a green bract. Perhaps it is an oxymoron to say that the colours are everlastingly fashionable. Most significantly it produces plenty of flowers on strong spikes so it is both fashionable and practical. This picture is a rather poor representation of a good plant on the day it arrived here. Hopefully in future years it will be magnificent (or at least not sitting in a pot perched on a dustbin). 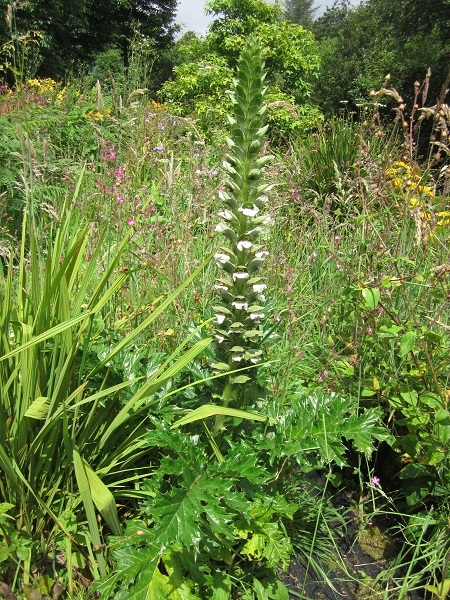 Once established in the border it has fattened up and produced a good strong spike of flowers. Splendid plant.